"The United States has been eliminated from World Cup 2018," Wahl wrote on Twitter. "The most surreal and embarrassing night in US soccer history." FIFA's 2018 World Cup will be held in Russia, and the emblem for the games was unveiled in space. Ko Im (@konakafe) has the story. But maybe the best comments came from former national team member and current ESPN analyst Taylor Twellman, who went off on the state of the U.S. Men's National Team. 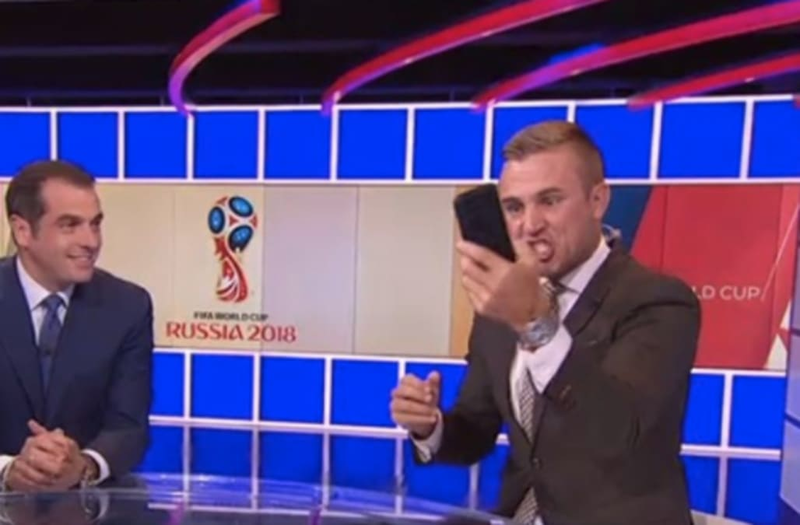 When co-host Max Bretos said this loss would cause "the gloves to come off" and shake up the program, Twellman pointed out that should have already happened. "The gloves should have been off years ago! We should have been having real criticism. And the discussion after Brazil, Max, was 'Can we beat the Colombias and the Belgiums and the Argentinas of the world?' You kidding me? We can't beat Trinidad on a field that's too wet and too heavy? What are we doing? What are we doing?!" Earlier, Twellman went off on U.S. Soccer's inability to get the men's team ready for this qualification tournament. "As a whole, U.S. Soccer is not prepared," Twellman said on ESPN News. "They have not done a good enough job of getting this group ready to play." "This is an utter embarrassment," Twellman said. "With the amount of money that is in Major League Soccer and is in this sport, you can't get a draw, a tie, against Trinidad? Max, you don't deserve to go to the World Cup, plain and simple."